Afro curl skin weft hair extensions (aka tape in hair extensions) are not as extensively available as straight and body wave tape in hair extensions. Afro Curly Skin Weft Hair Extensions... Will They Blend? Afro curly skin weft extensions provide an authentic looking texture but blending is all about your growth hair texture and whether you can make it closely match that of the tape in hair extensions. A defining characteristic of Afro curly skin weft extensions is the S shaped, spiral curls. As there are a few variations of Afro curl patterns in the hair extensions world, it's not fair to say you'll find an exact match, but it is fair to say that you'll find a match that's close enough to be "blendable". Some folks prefer to go for the loose Afro curl texture instead of smaller Afro curls and you can check out images of the difference between the two textures on our Afro weave textures page. 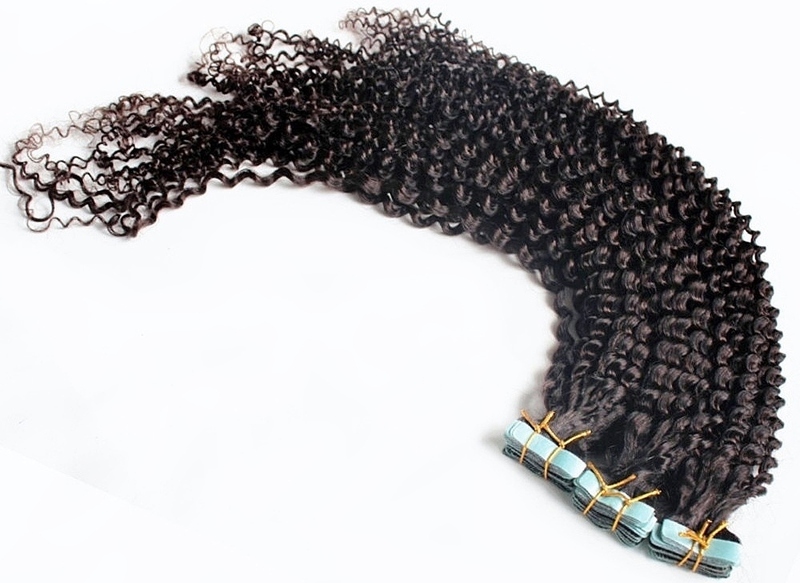 Afro curl tape in hair is available in lengths ranging from 8-26 inches. Longer lengths are available you might have to treat finding them a bit like Geocaching... with the difference being that you'll find the longer length in a hard goods store or a website and not in a box in McMurdo Station, Antarctica alongside a travel bug. As the length quoted for Afro hair extensions is the length when it’s straight, it might be worth finding out the curled length before you buy and you can check out the measurement guide for further info. It's important to check the listing description and image when you buy online so that you'll know what you'll be getting through your door (especially as not all retailers allow hair extensions to be returned). 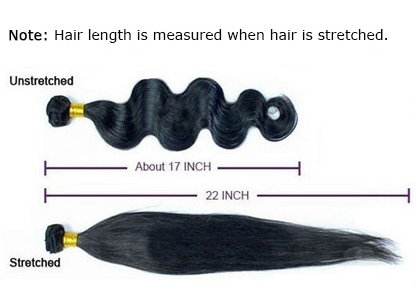 On this site, we quote the straight and curled (or wavy) length for each item. Loose Afro curl skin weft hair extensions come in sets of 20 or 40 pieces, but if you look around you'll find the odd retailer with sets that contain fewer or more pieces (we mean odd as in occasional not as in... well... odd). You can find out all about the world of skin undertones and hair colour tones and which complements which in our hair colour and skin tone guide - who knew that we each had cool or warm undertones? You can perused the Peruke’s guide to Caring for Tape In Hair which provides general care tips for tape in hair extensions and for information specifically about Afro textured hair extensions, there's a guide about how to care for Afro weave. 2. Use a shampoo for chemically treated hair when you wash your Afro curl tape in hair and either deep condition or use a leave-in conditioner to strengthen and repairs the hair. That's your amble through Afro curly skin weft hair extensions done! You can find more information about skin weft extensions from navigation menu and find out what others are asking in our Hair Extension Q&A section or join our blog to keep up to date with the next guide about hair extensions wigs and hairpieces.